How to watch Wolves at the Door (2017) on Netflix Switzerland! 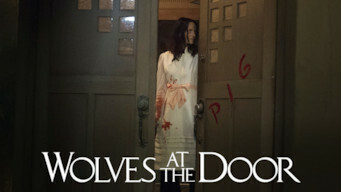 Yes, Wolves at the Door is now available on Swiss Netflix. It arrived for online streaming on April 12, 2019. We'll keep checking Netflix Switzerland for Wolves at the Door, and this page will be updated with any changes. In the summer of 1969, four friends gather for a farewell party at an elegant Los Angeles home, never suspecting it could be their last goodbye. The "Summer of Love" becomes a summer of terror. Inspired by the infamous Manson Family murder spree.